The New Holland TC combine series was launched in 1992. Their priorities then are the same as they are today. 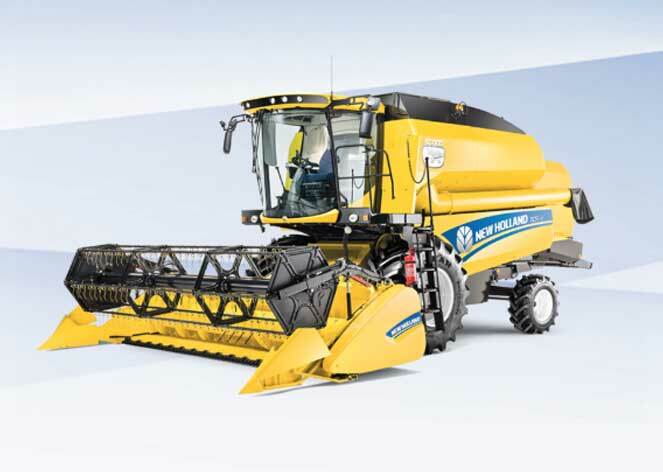 To produce a combine that delivers dependable performance in varied crops and conditions. 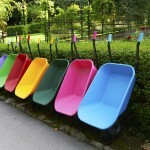 But now they offer so much more to include considerably greater output without compromise in straw or sample quality. Then there is the all-new Harvest Suite™ Comfort Cab. This sets new and class-leading levels of comfort and visibility. Of equal importance, a wide specification choice means there is a model to match your specific needs. The New Holland TC series combines have proven dependability and outstanding performance, matching with modern comfort and style. Thousands of operators, all around the world, have found the New Holland TC combine range to far exceed their expectations. The productivity of the TC combine range is a perfect match for the requirements of mixed and small scale arable farmers where value and reliability is key. New, cleaner ECOBlue™ SCR Tier 4 power units are engineered to treat only the exhaust gases of the TC Combine, optimizing fuel consumption, giving real savings to the owner. The all new Harvest Suite™ Comfort Cab puts the operator in the best position, providing a relaxed environment for those long harvesting days. Mounted on isolation blocks, the stylish new Harvest Suite™ Comfort Cab provides enhanced smoothness and noise levels as low as 74dB(A). The attractive styling combined with large access panels not only provide class leading service access, but also reflect the all round professional package of the TC range. The four and five strawwalker TC combine range consists of four models, the 175hp(CV) TC4.90, 175hp(CV) TC5.70, 227hp(CV) TC5.80 and 258hp(CV) TC5.90. All are powered by advanced 6.8litre NEF engines. Common features on five strawwalker models include a 1.30m wide and 0.60m diameter drum, 0.79m² concave with electrical adjustment, a standard sieve area of 4.30 m² and a total separation area of 6.69m². For slopes of up to 25%, self-levelling Smart Sieve™ with Opti- Fan™ and a Dual Cascade cleaning shoe is available. The result? Reduced losses and a cleaner sample. Those faced with combining high volume crops that are difficult to thresh can specify the New Holland developed Rotary Separator. This increases the powered separation area to 1.81m². With the new TC range, you choose the specification for your specific needs.